A new police investigation is to be held into the deaths of patients who were given painkillers at Gosport War Memorial Hospital. An inquiry found in June more than 450 patients died after doctors gave them "dangerous" levels of the drugs. 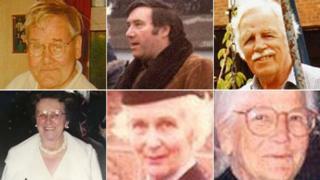 Three previous investigations into 92 of the deaths by Hampshire Constabulary resulted in no charges being brought. The new probe will be led by Assistant Chief Constable Nick Downing, head of serious crime at Kent and Essex Police. The inquiry by the Gosport Independent Panel said the quality of previous police investigations had been "consistently poor". It found whistleblowers and families were ignored as they attempted to raise concerns about the administration of medication on the wards, which was overseen by Dr Jane Barton. The panel, led by Bishop James Jones, said there was a "disregard for human life" of a large number of patients from 1989 to 2000. Dr Barton retired after being found guilty by a medical panel of failings in her care of 12 patients at Gosport between 1996 and 1999. Previously Hampshire Constabulary said it would "step back" from any future police investigations because relatives' confidence in the force had been "damaged". The scope of the inquiry, which will start in September, has not yet been decided, the force said. Charles Farthing, whose stepfather Brian Cunningham died at the hospital, said previous police investigations had been "a waste of public money". He said: "I think it's absolutely appalling... There's been nothing come out of it. I want to see criminal charges laid."